This Scandinavian Floral print just makes you want to smile. 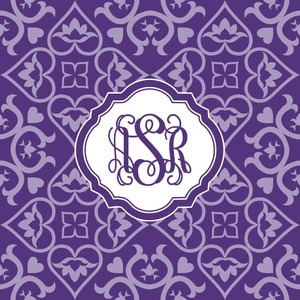 This traditional print focusing on hearts gets a trendy face lift by using beautiful purples. 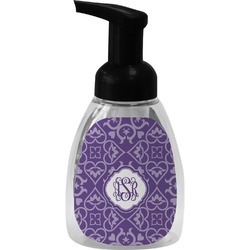 A purple scalloped label highlights a classic personalized monogram or the personalization of your choice.